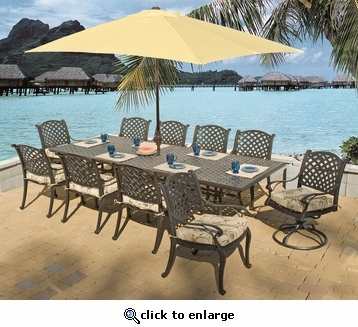 Our matching Lancaster Dining Sets are the finest in outdoor entertaining. Pictured is a rectangular shaped dining table. The rich Bronze finished cast aluminum is easy to care for and with its classic cross weave style, has the look of antique wrought iron.